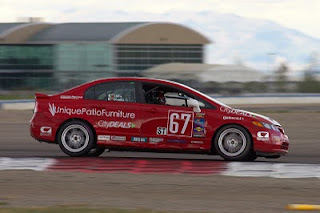 For 2011, I’ll be driving a Honda Civic Si with Vesko Kozarov in the Continental Tire Sports Car Challenge Street Tuner class. It’s a series for lightly modified production cars with two classes (the other class, Grand Sport, is for the big-engine cars) and the races are usually two-and-a-half hours in length. I’m excited for the coming season because our Civic is reliable and working well and, thanks to the hard work we’ve been putting in and the progress we’ve been seeing, we should be competitive in 2011. Plus, we’re bringing Skullcandy on board as a new sponsor for our CA Sport team, so there’s a lot to be excited about. My personal racing story begins in 2006, and I’ve been fully committed since, spending all of my free time driving and racing and building our team in Salt Lake City. 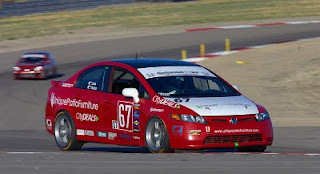 We’ve slowly built our group, and started in the Continental series with an Acura in 2008. We switched to the Civic platform in 2009. We built a great car, but unfortunately, at the Daytona test days, we rented the seat and the driver totaled the car. We had to start over and missed a lot of races because of that. We went with the Civic because of budget and reliability. We felt it was a good platform – reliable and easy to maintain. Because we’re trying to start small, we’re very careful about our budget. The Civic is not only economical to run, but Honda supports the series well with contingency money. That’s certainly appealing. Our program is a little bit different because we run the engine that’s installed in the Civic for the U.S. Most of the others run the Japanese Domestic Market (JDM) engine, but we feel we can definitely be competitive with the U.S. engine. It has taken us a little while to get there, but this year I believe we will be. We’ve worked with the sanctioning body, Grand-Am Road Racing, and I think with some adjustments, we’re closer. We ran the American motor at three or four Grand-Am races last year, plus a lot of local races. We put a lot of miles on it and the performance was excellent as far as reliability goes. I think 2011 is going to be a great season because we’re getting stronger in every way. Part of it is experience – having a more experienced crew – because strategy and pit stops are terribly important, as is consistency. Our crew is all volunteer, but some of them have been with us for two years. We have a strategist that has worked with us for two years and is committed to us. He’s written some great software to track things from the pit wall. We continue to improve the car. We’re maybe not doing all the things we can do within the rules yet, because of budget, but we’re getting pretty close. If we can be more competitive and we have a good fighting chance, it’s going to be a blast. I’m really happy to be racing, and I enjoy the Civic. The Honda Performance Development people have been great to work with. They’ve been working on our behalf negotiating with Grand-Am on rules changes to help the car’s competitiveness. Plus, they provide discounts on parts through the Honda Racing Line program, which is important when we struggle for the finances to keep our program going. Every little bit counts, especially when you’re buying doors in bulk! Racing in the Continental Tire Challenge can get a little rowdy; I think I bought five passenger doors last season. If things work out, we might even add a second car. We do have some interested drivers. We’ll wait and see how the season plays out. Look for the Skullcandy Racing / CA Sport Honda Civic Si in Grand-Am Continental Tire Challenge races this season at tracks from Daytona International Speedway to Miller Motorsports Park. 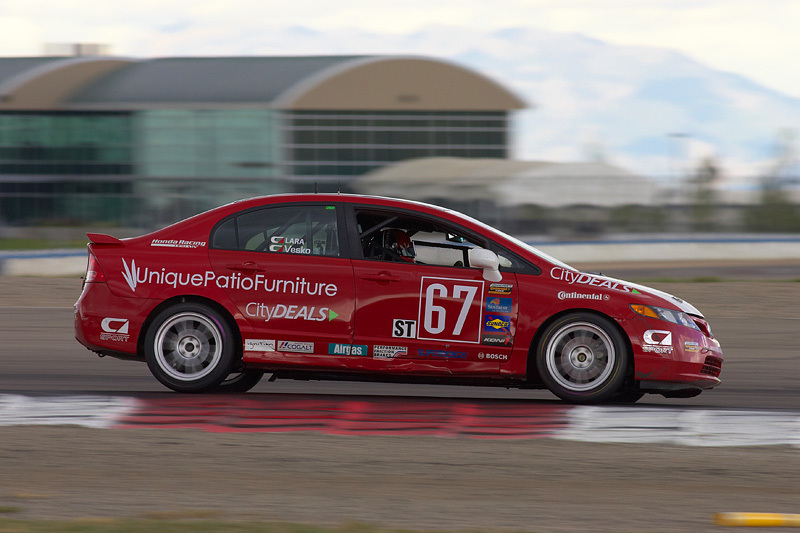 Honda Racing Line is proud to offer original equipment replacement parts, performance parts and crate engines to Honda and Acura grassroots racers in the entry level through professional ranks. Honda and Acura teams will make up a quarter of the starting field in the Street Tuner class as the 2011 Grand-Am Continental Tire Sports Car Challenge season opens this weekend at Daytona International Speedway. Six teams will field a total of 10 Honda Civic Si’s and an Acura TSX as Honda seeks a third consecutive ST manufacturers’ championship. Leading the Honda effort once again is the four-car Compass360 team, which is seeking to extend its streak of consecutive team and drivers’ championships to three. The team also returns with their bright orange Civic Si’s as the defending Daytona ST class winner. David Thilenius will attempt to repeat his drivers’ title, partnered with Zach Lutz. Another series mainstay, Jorge and Juan Leroux from the Dominican Republic, return with their expanded LRT Racing operation, now featuring both a Civic and a TSX in their transporter. The Honda of America Racing Team (HART), made up of associates from Honda of America Manufacturing in Ohio, will field a pair of Civics driven by Mike Galati, John Schmidt, Chad Gilsinger and Steve Eich. Individual Civics will be run by CA Sport from Utah, Marren Motorsports (for Toby Grahovec and John Costello) and the Quebec-based 89 Racing Team. They’ll face off against more than 30 opponents representing BMW, Mazda, Volkswagen, Mini Cooper and KIA. The Honda teams will also have to cope with off-season technical changes – including a new inlet air restrictor – that have cut their available horsepower. In 2010, the ST championships all came down to the final race of the season, with just seven points separating Honda from BMW, and both the drivers’ and team championships decided by a tie-breaker. The 2011 Continental Tire Sports Car Challenge looks to be just as exciting. The season-opening Grand-Am 200 starts Friday, January 28th, at 1:30 p.m. EST; with tape-delayed television coverage at 3 p.m. EDT Saturday, February 5th, on SPEED. JAN. 24 - Willard "Willy" Ivins retired from the Marine Corps in 2002. In the Corps, he was an explosives, landmines and bridge building expert, but one of his main hobbies was tinkering with motorcycles. For the next two years, he tried to find a job that would keep him as motivated as he was as a Marine. In 2004, a friend who'd recently started working as a machinist at Honda Performance Development (HPD) in Santa Clarita, Calif., suggested he apply for a job there. During the job interview, Willard was quick to admit that he had no formal training or experience in the industry. "Despite this, they took a leap of faith and hired me. I have to think my military background played a part in their decision," he said. In his first position, which lasted more than two years, he built cylinder heads. Then, he moved on to building oil and water pumps. During this time, he kept his eyes on a personal goal--to work on the final step of the assembly process--the engine itself. Two years later, after learning as much as he could from associates already doing this job, Willard realized this goal. "This was a particular point of pride for me. I had to interview for the position, just like I did to get hired. It felt good that they had the faith in me to give me that level of responsibility. 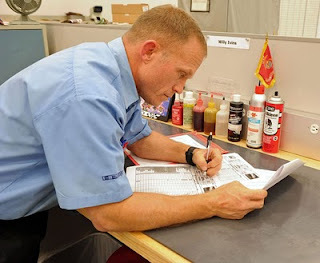 "While this is now Willard's primary job, at the end of each race season, he, like most HPD associates, works in other areas of the facility--from the Machine Shop to the Quality Assurance Department. As a builder of IndyCar engines, Willard explains that HPD associates, particularly the engine builders, enjoy a friendly rivalry during the racing season. 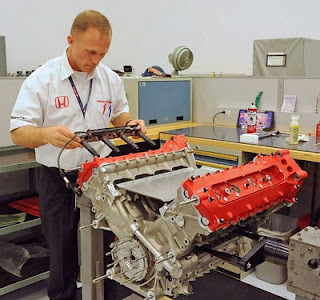 Once the engines are assigned by the IndyCar Series, HPD knows which engine has been placed in each car--and thus who built it. In addition to his primary job as an engine builder, Willard is also a technical writer. He recently worked on the manual for the HPD L15A7 engine, which has been adopted by the Sports Car Club of America for use in its Formula F class. Willard also describes himself as a "hopelessly addicted photographer" and has recently become part of a group at HPD that chronicles races and HPD events with photos and video. 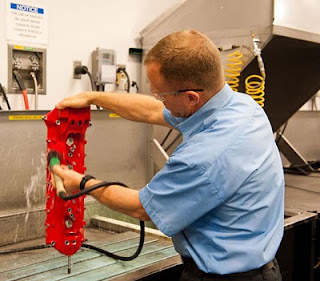 Willard recalls one of his early days working with cylinder heads when he did not properly tighten a bolt and the problem was discovered when the engine was on the Dyno. His then manager casually walked over with the misshapen bolt, held it up and placed it on his work station and just walked away. "I was sick to my stomach," he said. "I felt that I had let HPD and the process down. I received his message loud and clear even though he never said a word to me." On another occasion, he remembers tossing and turning one night as he contemplated whether he had tightened some bolts. The next morning he told his manager about his concerns and they tore down the engine to verify that the bolts were tightened. They were, but his concern was enough for them to verify. "Our primary concern at HPD is the driver's safety. None of our drivers should ever have anything less than 100 percent confidence in our engines. When drivers climb into their cars, the only thoughts in their minds should be about how they will win the race, nothing else." Willard sees many parallels between his former job as a Marine and his current one. "It's just the mission that is different," he said. "In both places it is important that everyone understands the mission and pull together to make it happen. It's about getting the job done, whether it is about national security or winning championships, and anything short of that is unacceptable." With the reintroduction of competition in the IndyCar series in 2012, Willard said: "We are already working on the next-generation IRL engine and will be ready for the competition when they show up. I believe competition will make HPD even stronger." And, as for the associate who told him about the job in the first place, Mark Burnett, he too is still at HPD, no longer a machinist but instead in the Procurement department. "I feel fortunate and blessed to be at HPD, and I take the opportunity to thank Mark several times throughout the year," Willard said with a chuckle. The 2011 IZOD IndyCar season officially commenced in mid-January, when series officials took what had been a private annual update for series participants, outlining rule and procedure changes for the new year, and turned it into a high-profile, webcast stage show called the “State of INDYCAR” at a downtown Indianapolis hotel. 1. Double-wide restarts after cautions. This is the change that has gotten the most attention, and it will be the most visible to the fans. It means that, following a yellow, race restarts will now take place with the cars in two-by-two formation, just as on the pace lap prior to the green. As originally announced, the two-wide restarts would be used only on ovals. But it appears they now will be used at ALL races in ’11, which should spice things up on road and street courses, too. In addition, lapped cars will be moved to the rear of the field, and that also should help enhance the battles for the leading positions on restarts. 2. A change that hasn’t gotten much attention (yet), but one which I believe will have great impact on the road racing this year, is a new limit of just one set of tires for each (of three) qualifying segments. Previously, teams could run a couple of sets per session, so a driver might chose to “bank” a time on a used set of the soft compound “reds” for example, before switching to a fresh set for the all-important final minutes of qualifying. Now all this has gone out the window, and I think it’s going to take the teams a little while to get their heads around this. 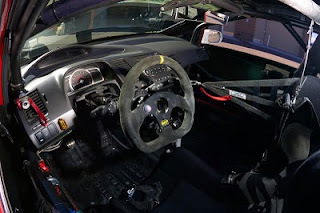 Do you want to go out right at the start of a session and put down a time while the tires are at their best – but the track may not be – or wait until the very end of the session, when the track is quickest, but also the busiest with other cars? Since qualifying up front is critical to success at road races, I think this is going to be very interesting rule, from a strategic point of view, in 2011. 3. Another change with strategic implications will have pit-stall selection based on qualifying from the previous race (of the same type). Previously, pit stall placement was based on championship position, leading to a “rich-get-richer” scenario in which a team leading the championship had the first choice in pit selection, nearly always taking the stall closest to pit exit. This allowed a driver a clear shot out of pit lane, without having to use the pit-lane speed limiter – an obvious advantage that now will be more fairly distributed. 4. Finally, the “pit commit” point will be moved closer to Pit In, giving a driver and team a bit more time to make the decision to pit, and make for quicker “in” laps. NOT specifically announced, but even more important, is word that the start and restart point will be moved much closer to the start/finish line. Again, this should help make the starts as spectacular as they should be. With just under two months until the start of “Spring Training” at Barber Motorsports Park, the 2011 IZOD IndyCar starting field is starting to take shape. Ganassi, Penske, Panther, Foyt, de Ferran, Sarah Fisher and HVM all have their lineups settled. In addition, Newman Haas knows who they WANT to drive their car(s), Andretti also is close to finalizing its planned four-car lineup, and FAZZT is also very close to a decision to expand from one to two cars. That really just leaves three teams still to announce their lineups: Conquest and Coyne (both habitually late announcers), and KV Racing Technology, where big changes appear to be taking place. Lotus Cars appears poised to buy into KV this year, taking an ownership stake in the team it partially sponsored last year. Expect a large influx of Group Lotus personnel behind the pit wall in 2011, and (at least) two green-and-yellow – or perhaps black-and-gold – cars this season. Ganassi: Dario Franchitti and Scott Dixon both continue for the varsity; newbies Graham Rahal and Charlie Kimball for the (separate-but-equal) “B” team. Team Penske: Will Power, Helio Castroneves and Ryan Briscoe all return. Panther: JR Hildebrand, the 2009 Indy Lights champion, gets his first full-season shot with the National Guard-backed team. A.J. Foyt: As unlikely a pairing as you’ll ever find, but Vitor Meira appears to have found a home with the legendary Texan’s team, and they start their third year together in ’11. de Ferran/Dragon: Tony Kanaan is in, while Raphael Matos is apparently headed back to Brazil. Can TK raise the level of this team to finally contend for race wins, and perhaps a championship? This will be one to watch this year. HVM: Very popular 2010 rookie Simona de Silvestro will be back with HVM, and with proper funding for the first time. Now it’s up to her and the team to build on the flashes of promise shown last year. Sarah Fisher: Ed Carpenter will do at least 9 of the 17 races, and possibly more, depending on funding. Andretti Autosport: Ryan Hunter-Reay, Marco Andretti and Danica Patrick are all confirmed. Dan Wheldon hopes to land the fourth seat, but a more likely candidate is former F2 champion Andy Soucek, who may bring the funding AA needs for the fourth car. Newman Haas: Knows who they want: veteran Oriol Servia and promising Indy Lights graduate James Hinchcliffe. All parties involved are working hard to make it happen, but it’s not yet a done deal. Keep your fingers crossed, as Oriol certainly deserves another shot, and “Hinchtown” is very, very quick – as well as entertaining outside the cockpit. Dreyer & Reinbold: Justin “Too Tall” Wilson is locked in for a second season, but second – or third – seats are open. Wheldon (again), Mike Conway, Ana Beatriz and Tomas Scheckter have all been mentioned here. FAZZT: Again, Alex Tagliani is locked in place as the lead driver. After all, he was the guiding force in the creation of the team. The only question is whether Dutch/Chinese driver Ho-Pin Tung can raise the necessary sponsorship for the team to field a second car. KV: As of this writing, Takuma Sato and E.J. Viso are expected back, but that could change (along with the team’s name) as Lotus takes an ownership stake. Mario Moraes is apparently headed home to Brazil, so the third seat could go to Wheldon, but nothing is decided – yet. Conquest: Has (at least) three possible drivers for two cars. Bertrand Baguette started off a bit shaky as a rookie last year, but improved both his speed and confidence as the ’10 season progressed. After doing a decent job as a rookie at the Speedway, Sebastian Saavedra bolted from Bryan Herta’s team at the end of the year (earning him few friends in the paddock), and ran the Homestead finale with Conquest. Paul Tracy has at least partial sponsorship, and would be a huge shot in the arm for this small team – arguably, the best driver they’ve ever run. Dale Coyne: Very quiet, as always, at this time of the year. Dale certainly keeps his cards close to his chest. Still, ’10 Rookie of the Year Alex Lloyd is expected back in the “Boy Scout” car; while Lights champion J.K. Vernay has some funding, and in reality few alternatives, to running at least a partial season with the South Side Chicago team.